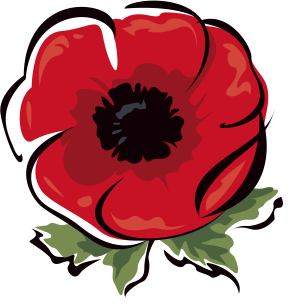 On November 12th we will be celebrating our Remembrance Day Liturgy of the Word, in the gym at 10:45 a.m. We are very fortunate to have a Veteran joining us this day. Our Intermediate students and teachers have been busy preparing a memorable Liturgy of the Word so that we may remember the many men and women who have served and continue to serve our country during times of war and peace. We honour those who fought for Canada in the First World War (1914 – 1919), the Second World War (1939 – 1945), and the Korean War (1950 – 1953), as well as those who have served since then.Please donate generously for poppies that support the Royal Canadian Legion.